Pre-heat oven to 190 degrees Celsius. Mix tandoori paste and yoghurt. 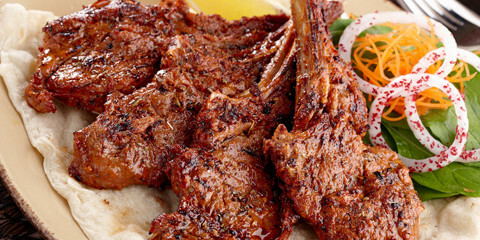 Spread lamb chops in a single layer onto a baking tray. Spread tandoori mixture over chops. Bake until chops are cooked through, approximately 30 minutes. Serve with rice, pappadums, cucumber raita, yoghurt and lemon wedges.